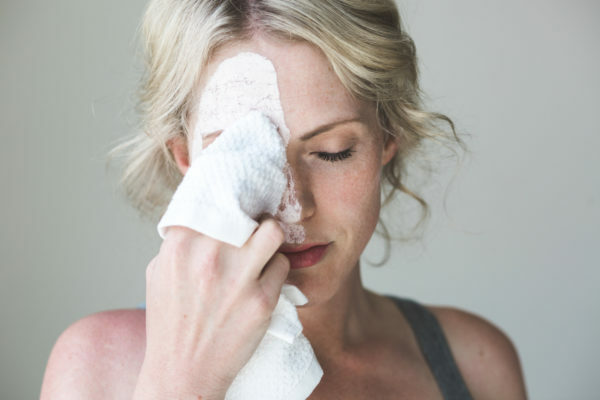 Do you walk out the door in the morning with perfect skin, and by that afternoon find yourself battling shininess, runny makeup, and blotching? Afternoon shininess requires a little extra attention to your skin care routine and makeup. Afternoon oily skin can be caused by a number of factors. Fortunately, there are solutions. Keep reading! What Causes Afternoon Oily Skin? You have oily skin, so even though you may wash off that oil in the morning, it comes back by the afternoon. You become stressed by something during the day, which can trigger oil production in your pores. 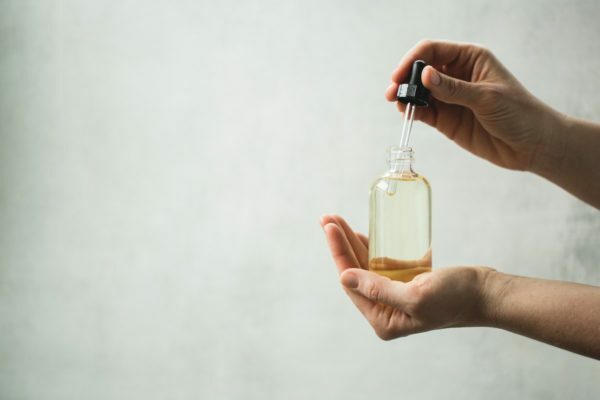 If you forgot to moisturize in the morning, your skin is likely to react by trying to hydrate itself with more of its own natural oils—hello, shininess. During your monthly cycle, you may be more likely to experience breakthrough shininess by the afternoon hours. Pregnancy can also cause changes in your skin. Were you sick recently? New medications can throw your body out of whack, causing the overproduction skin oils. If you’ve gone on a “skin care frenzy” lately, you may have piled on too many products and treatments for your skin to handle at once. Many times, oiliness is your skin’s reaction to stress, which it may be experiencing because of too many treatments. If you travel to a different climate, or experience sudden changes in weather patterns, your skin may react with an attempt to hydrate and protect itself. Sometimes, we use the wrong products for our skin type. If you’re oily, for instance, you need products that contain oil-balancing ingredients. If you’re a dry skin type, you need deep hydration. Using the wrong products can result in afternoon oily skin. No matter what may be causing your shiny skin, the goal is to get rid of it. First, you need to start with some good, basic skin care. If you need help, check with your local dermatologist or makeup artist. Determining your basic skin type will help you tailor your skin care routine to what your skin needs. You can read more about the basic types on our posts—oily skin, dry skin, combination skin, and sensitive skin. Cleansing is key to controlling oil production, so don’t skimp on your cleanser. You need something effective but gentle. Being too aggressive or drying in your cleansing can actually backfire, as your skin will produce more oil in the afternoon to compensate for the stress and dryness. So don’t over wash—just twice a day should do it, unless you’re involved in exercise or other activities that make you sweat, after which another cleansing will be required. Be careful, as many common over-the-counter products contain harsh sulfates that can cause afternoon shininess. Try our Aloe Herb Facial Cleanser or Citrus Mint Facial Cleanser for thorough cleansing that helps gently clean without stripping or stressing. Your toning step is also more important than you may think. An alcohol-based toner is likely to be drying, which may feel good in the morning, but will encourage your skin to produce more oil by the afternoon. Use a moisturizing toner that helps control shininess without dryness. Our Rosemary Toning Mist is a good option, as it helps balance skin oils. No matter what type of skin you have, moisturization is important. If you have oily skin, however, you’ll want to choose a light, balancing formula. Dry skin types will need a little more moisturization. Always look for products that are free of mineral oil and other petrolatum-based products, as they clog pores and stimulate shininess. Try our Herbal Facial Oil for Normal and Combination Skin, or our Herbal Facial Oil for Oily Skin. Regular exfoliation gives you a smoother, softer skin surface to work with. Try our Ayurvedic Facial Scrub 1-4 times a week. If your skin is in the middle of a break-out, exfoliate less frequently to avoid additional irritation until the skin heals. Using a mask to absorb excess oil a couple times a week can help your skin to adapt and adjust to changing conditions, and can help balance natural oils. Try our Purifying Mud Mask, which contains mineral rich clays that remove excess oil and impurities. Sometimes, no matter how good a job you do at taking care of your skin, you can still end up with afternoon shininess. Here are some makeup tips to help you deal with this problem. If you’re experiencing afternoon shininess, you may not be hydrating enough, or you may be hydrating too much. Your best bet—try a light, skin balancing moisturizer under your makeup. Even dry skin types that are experiencing afternoon shininess may need to switch to a lighter moisturizer for awhile. Don’t be afraid to experiment. If you haven’t tried a primer under your foundation, this may be a good time to do that. Just be choosy—you need one that allows your skin to breathe (avoid dimethicone and other silicone ingredients) but that will help absorb oil. Mineral oil foundations work well for many with oily skin, so this may be one to try for you. Our natural inclination when we see shininess is to use powder. Be careful, however, as powder on oily skin can highlight pores, and can highlight any fine lines or wrinkles you may have. Blotting paper (below) may be a better option. These are easy to carry in your handbag, as they come in booklets you can take anywhere. In a pinch, use one to simply blot away the excess oil without disturbing your makeup. Press on the oily area, then roll off the skin (don’t rub). Do you have other tips for reducing afternoon shininess? Please share! Thank you for the thorough information and these recommendations. I’m definitely trying the rosemary facial mist.